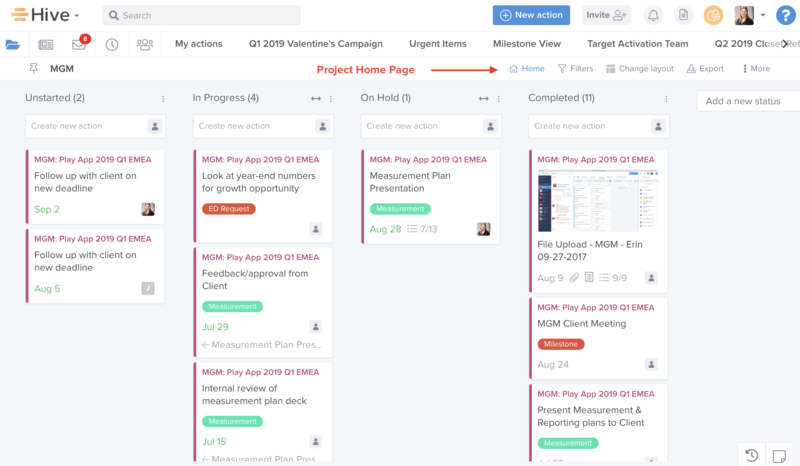 All teams have certain information and projects that can't be visible to everyone. This could include employee salaries, private client information, or personal projects. That's why Hive has projects! Every task created in Hive projects is completely self-contained and can only be seen by the project members. That way you can share a workspace, but protect certain sensitive information or just make sure others aren't distracted by information irrelevant to them. 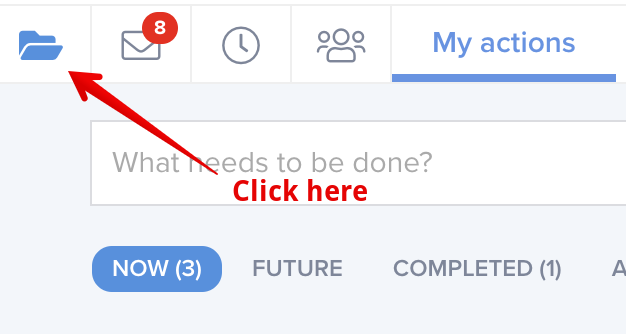 This button takes you to the page where you can manage all your projects. Once you arrive in the Project Navigator, you can click the blue button in the upper left corner of the screen that says "+New Project." Give your project a name and pick a color you want to be associated with your project. You can also add a start and due date, labels, a description, attachments, a parent project or phases. The team members you select for your project are the ONLY people who can see it. All the tasks in the project will be completely invisible to anyone who is not a team member. Sometimes, you may want to have a place to chat with the team about the project or brainstorm ideas. 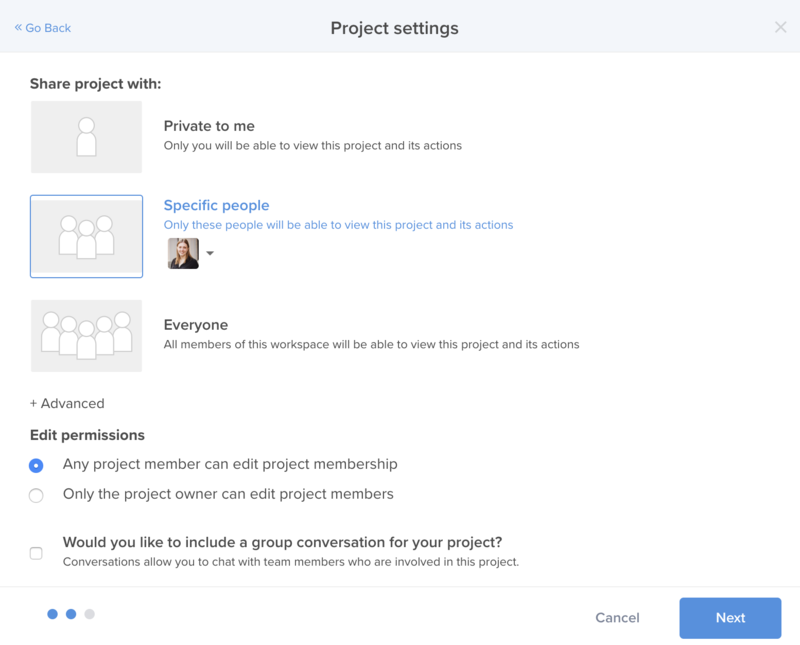 If that is the case for your project, select the check mark to create a messaging group for your project. Gantt view - a chart that shows all your actions in a series of horizontal lines that represent the timeline they will be completed. Hit create and start adding actions in your new project! It's as easy as just typing what you want to do and press enter. 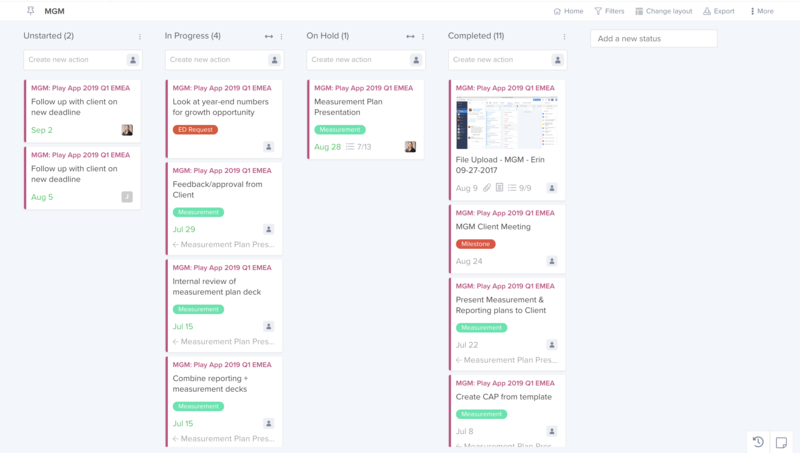 Every action card in your project shows the name of the project. If you click the drop down, you can switch the action's project. 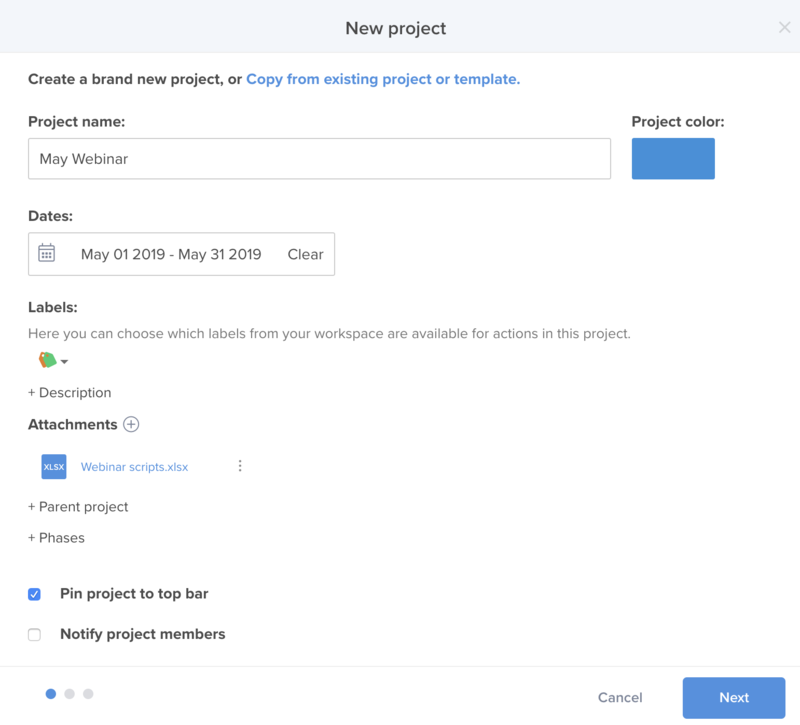 If you ever want to edit or see your project information, select "Home" to view and amend project members and update key project details, such as status, custom fields, description, and attachments. 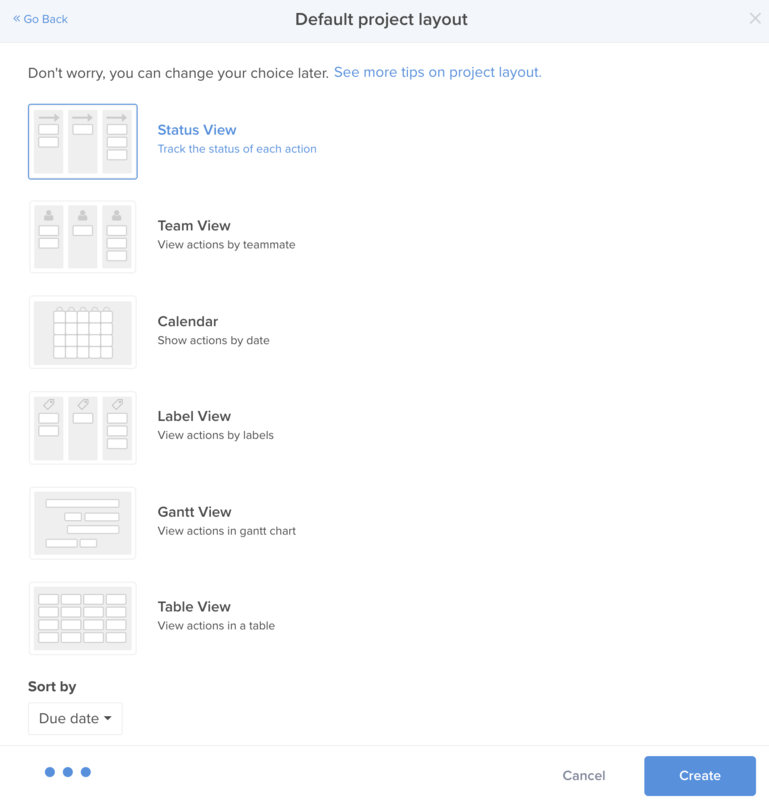 Selecting the "More" button at the top right of your screen and clicking "Edit project" will open up the project modal for easy updates to your project.